Come and discover a magical, majestic place high up in the Pyrenees with your friends or family. 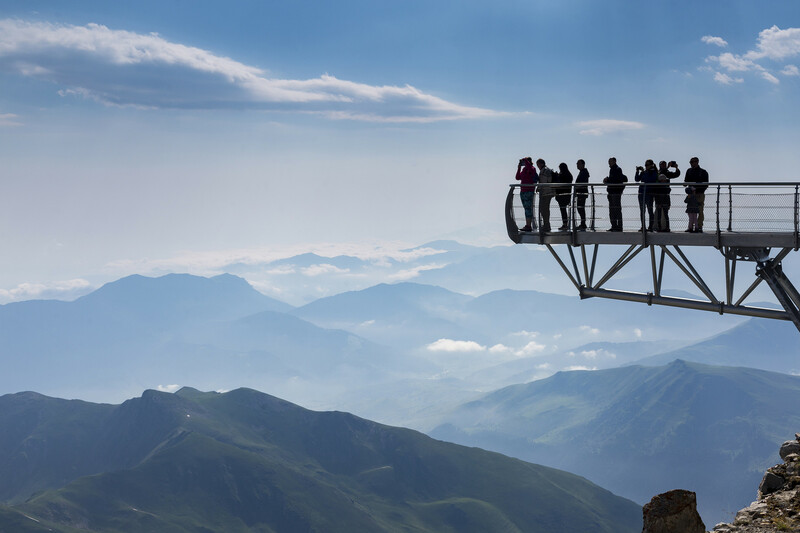 Accessible to everyone by cable car, the Pic du Midi is one of the Grands Sites de Midi-Pyrénées and is a must-see place to visit if you are travelling in our beautiful region. 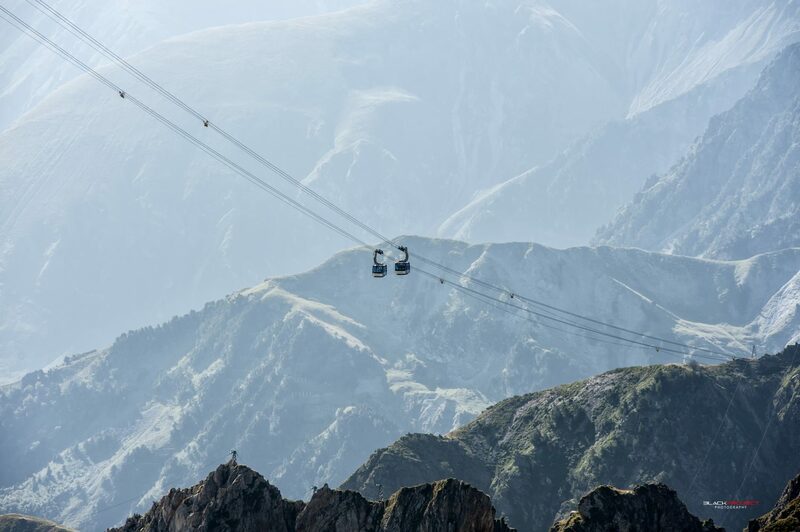 Your day at the Pic begins with a memorable climb by cable car from La Mongie. 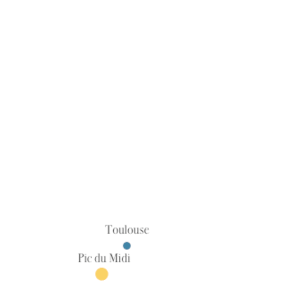 A first trip takes you to the mid station of Taoulet. Change of platform, another cabin, awaits you for the second part, wich is more spectacular, with a maximum flyover of 320 meters. Then it’s the finish at the top. Direct access to the panoramic terraces with a breathtaking view of the chain of the Pyrenees which extends over 300km. You will be able to identify the various peaks you can see with the help of the information boards with their landscape graphics. And other panels will tell you all about the environment high up in the Pyrenees. Build on your knowledge of the mountains with a telescope installed on the terrace. Or enjoy our team’s presentation of the panorama, when you can also look safely at the sun through our coronagraph. A planetarium : a simple movie theater? Far from there ! In a planetarium, no screen but a huge dome above your head! Sitting in comfortable reclining chairs, you’ll be swept away on a journey to discover the stars and so much more! A planetarium like no other! The Planetarium is located under the Baillaud dome, a place full of history and science. This is the oldest astronomical installation of the observatory. It was transported to the Pic on the backs of men and mules for two years, in 1907 and 1908. 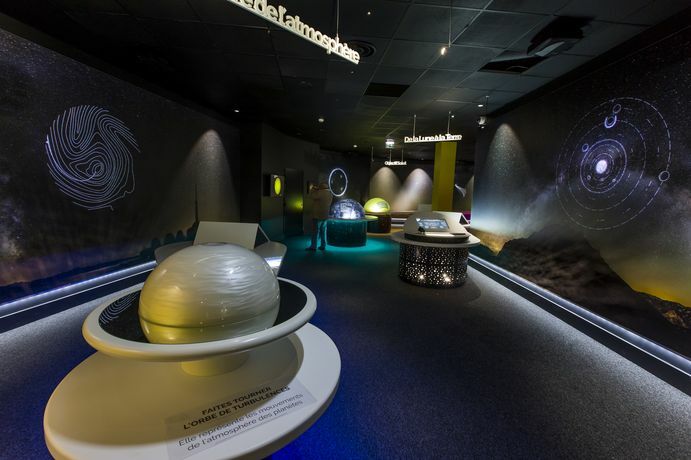 After a century of research and astronomical discoveries, the Baillaud dome has a new life as the highest planetarium of Europe! Access to the planetarium is with a supplement. Everything is planned. Relaxation area for a quick snack or traditional meal, you have the choice. 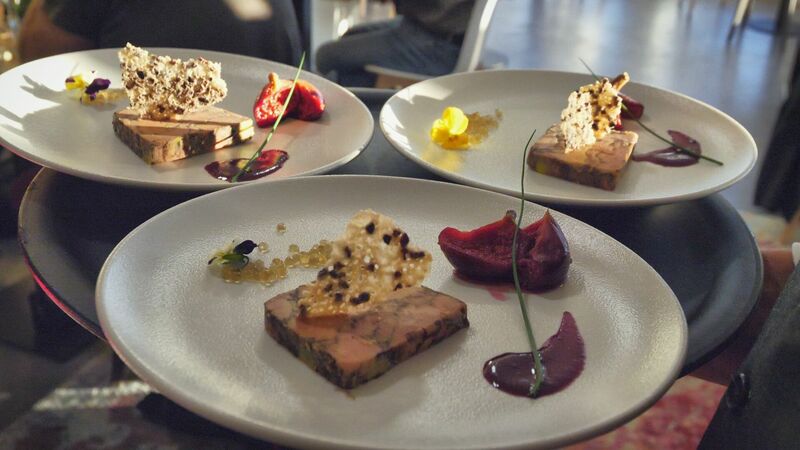 If you opt for the restaurant, it is facing the Pyrenees that you will taste the chef’s menu. With family or friends, a moment of conviviality assured and unforgettable. The reservation of a table is possible only on your arrival on the site, at the reception of the restaurant. If you prefer the Bistro, choose from: Dish of the day, salads, delicatessen, cakes, hot and cold drinks, etc. Finish with a coffee on the terrace or a moment of idleness before taking the cable car to La Mongie. . The Pontoon in the Sky ! A journey inside the landscape, free access! Suspended above the void, a metal walkway 12 m long, at the end glass tutoie the clouds for a unique and dizzying point of view. Hang on the horizon because under your feet, the emptiness is calling you! New sensations! Admire the exceptional view. Radiation is three times greater at the Pic than at sea level. The Pic enjoys 300 hours of sunlight more than the towns at its foot (Bagnères, Tarbes, Lourdes). So it is important to make sure you have sunglasses and sun block. For everyone’ comfort, picnics are not permitted. The day rate includes return trip by cable car, time at the summit, entrance to the museum and Histopad service. Why not give a special gift? 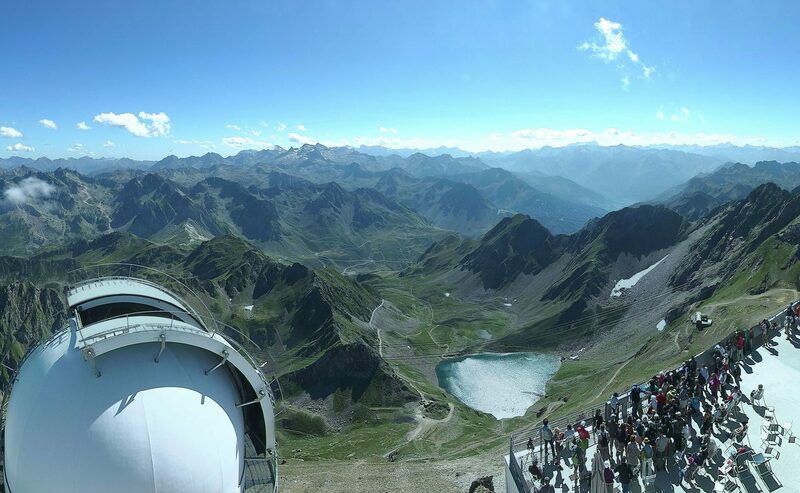 Gift idea for your nearest and dearest: either a visit to the Pic du Midi, or a visit to the Pic du Midi with a meal to enjoy the tastes of the Pyrenees. Visit incl. meal €85 adult, €42 child up to 12 years. Gift vouchers are valid for a year and can be bought by phone from our reservation service on 05 62 56 70 00 from Monday to Friday.